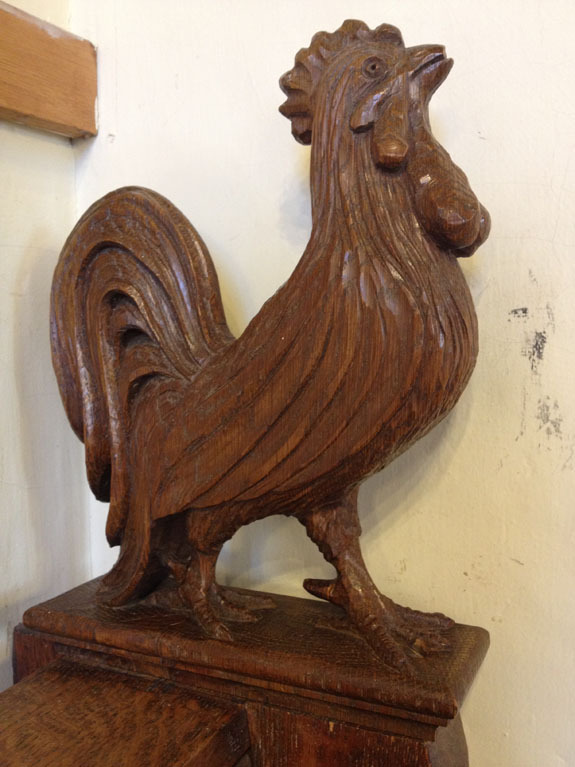 This indicates that the rooster carving that is now located in the Choir Room is not the original one carved in 1930, but the replacement carved in 1939. 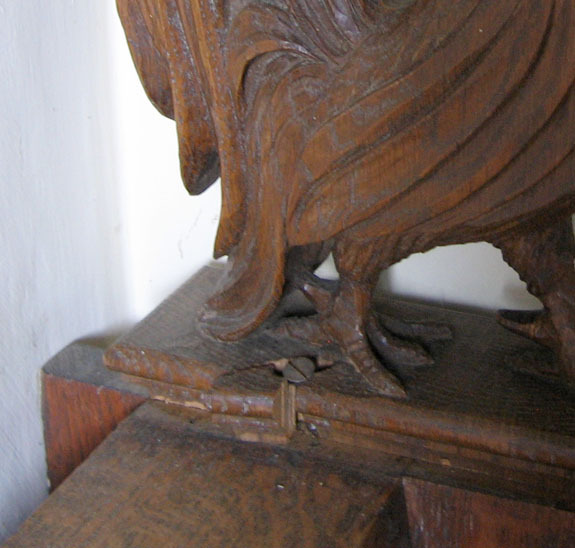 It is also interesting to learn from this letter that the mounting and staining was done by workers at the School to match the finish on the pews – it explains the sort of rough way the rooster was attached to the pew end, which likely led to the split in the base. 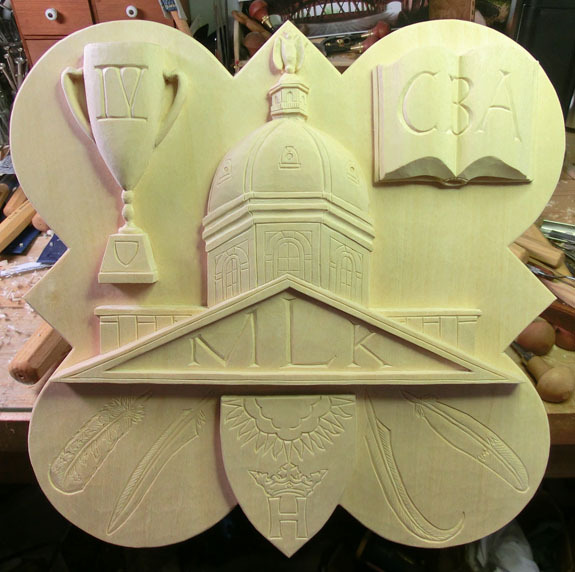 Over the March break I had the opportunity to finish up a small project that was very special to me – restoring one of the carvings in the choir room of the New Chapel. 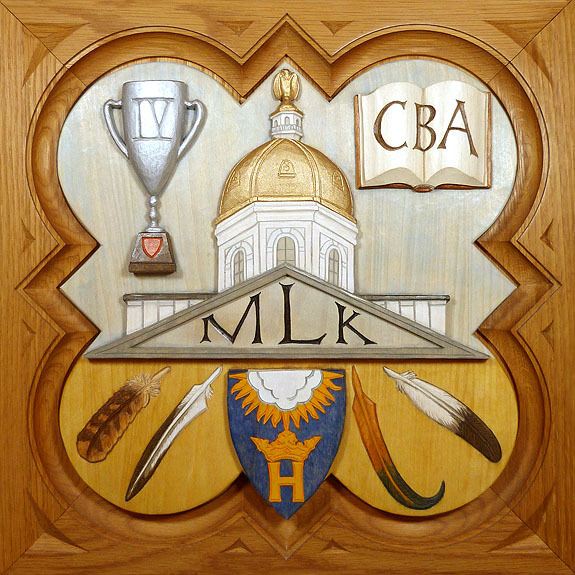 There are a number of fanciful carvings adorning the tops of the bench ends in the choir practice room, all carved in 1930 by J. Gregory Wiggins, master carver, originator of the Form plaques, and former faculty member of SPS. 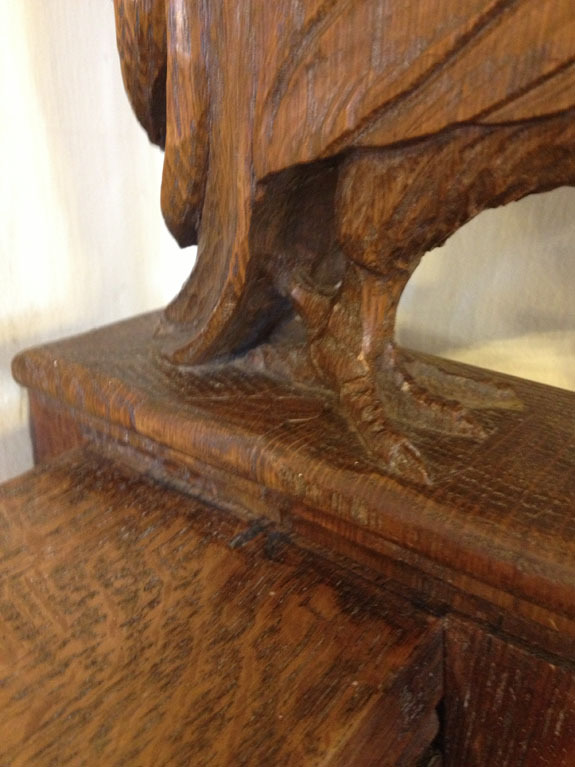 The photo below is of the carving, showing the damaged section of the base near the rooster’s back leg. In this picture I have cleaned up the rough edges of the break so that I can fit a new piece of wood to the base. 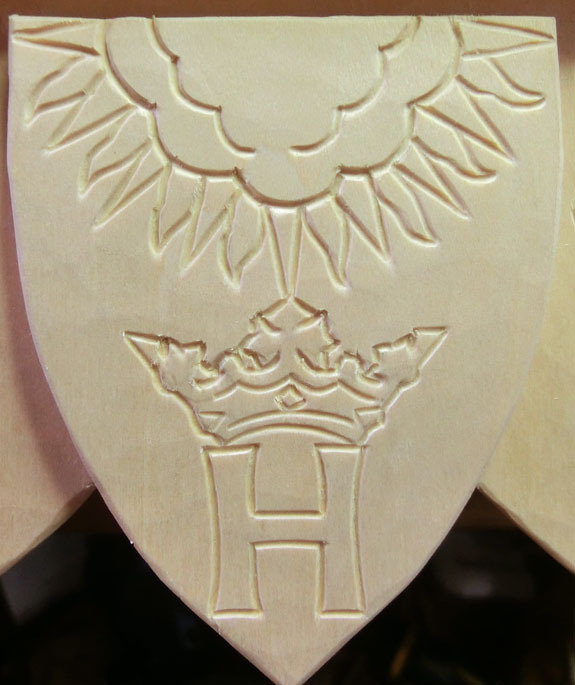 The restoration involved carving a small replacement piece – similar to creating the missing piece to a puzzle. 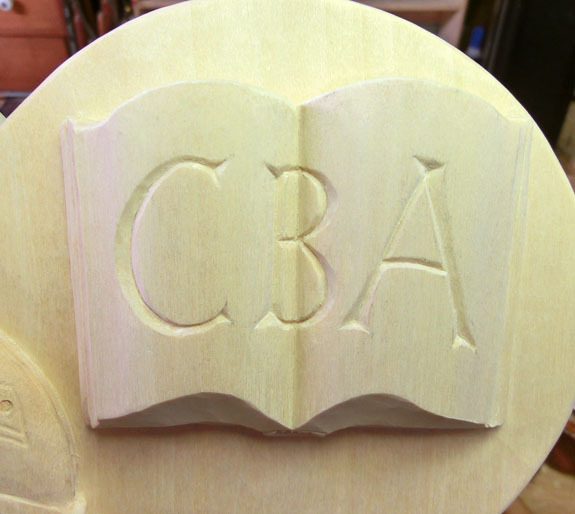 I used a scrap of oak wood to match the original carving, and carefully carved the shape to fit into the break and match the profile of the carving. 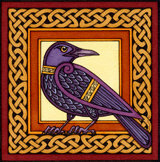 I used a number of carving tools, files, and special clamps to create this small carved piece. 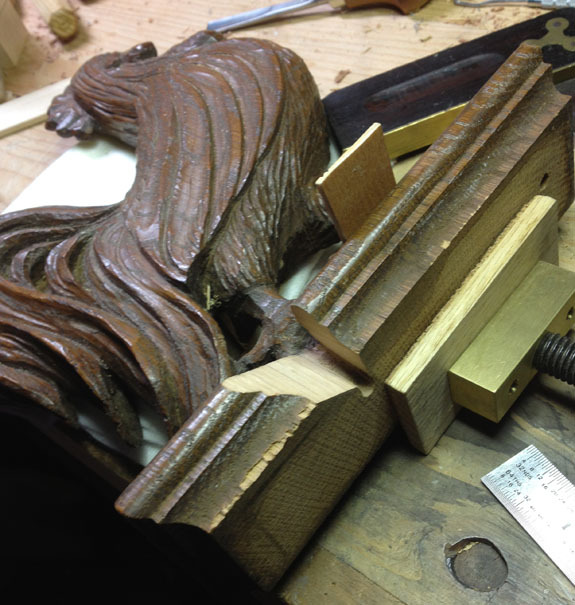 Because this broken section originated at one of the original mounting holes I had to find an alternate way to re-attach the carving to the bench-end. 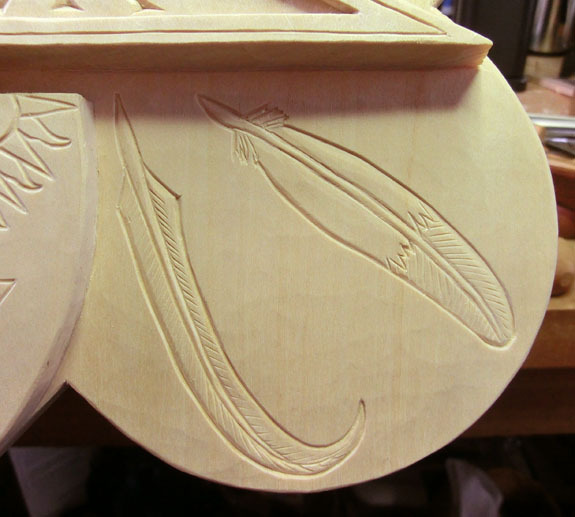 On the bottom of the carving I cleaned out a recessed area and attached a small flush-mounted piece of hardware that allows for a screw head to slide into place, securing the carving flush to the top of the bench end. 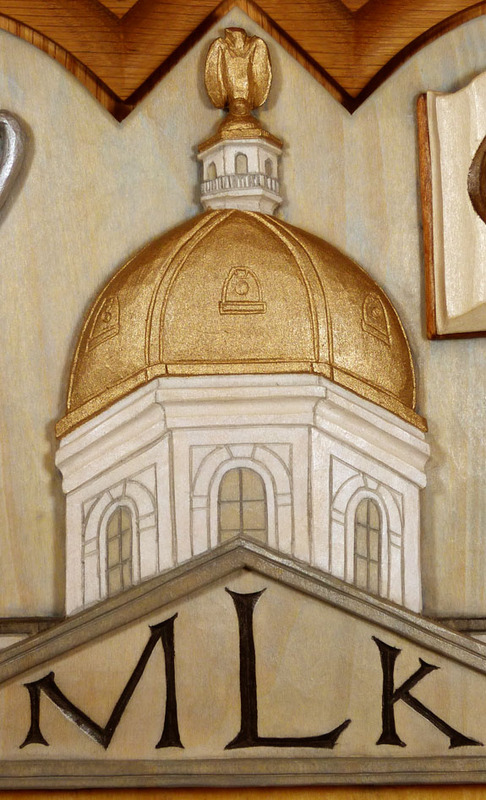 One of the reasons this restoration project was special to me is that I felt it gave me the opportunity to give something back to J. Gregory Wiggins by repairing one of his carvings. 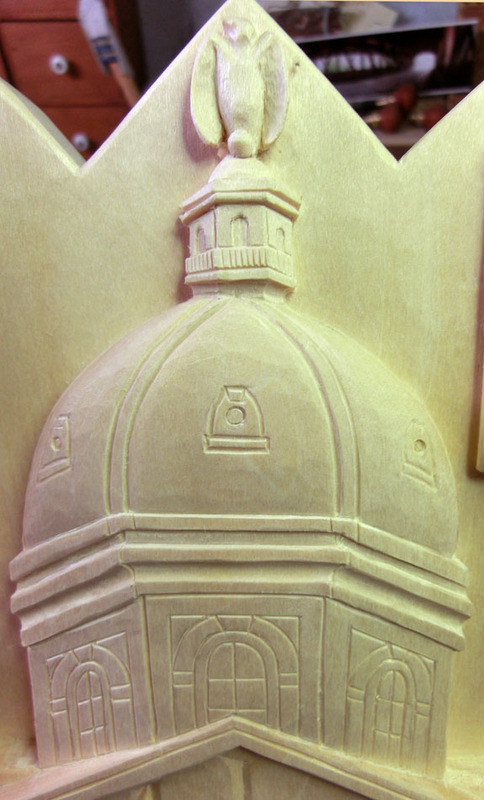 I am much indebted to his work in originating the Form plaque tradition at SPS. 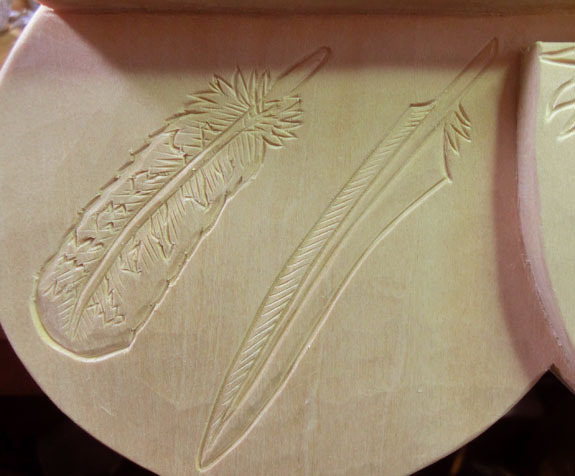 It was also a pleasure to work so closely with one of his carvings and observe the details of his carving process as evidenced in his work. 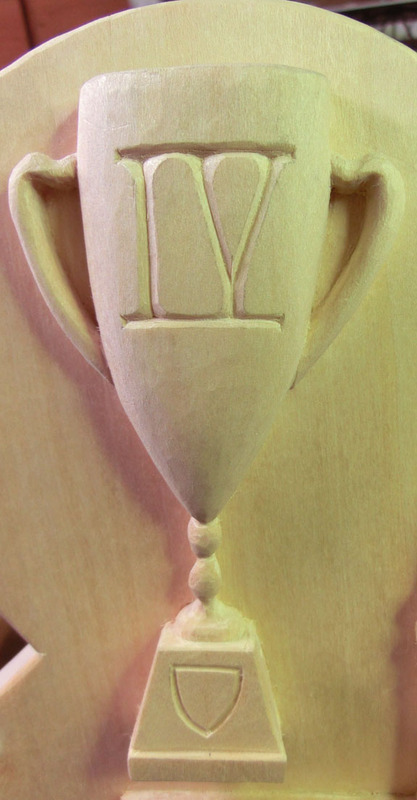 His carvings have taught me a lot about this project, and whenever I feel stuck or uncertain on how to proceed I ask myself – “what would Wiggins do?” – and I am able to find a solution in the legacy of his work. 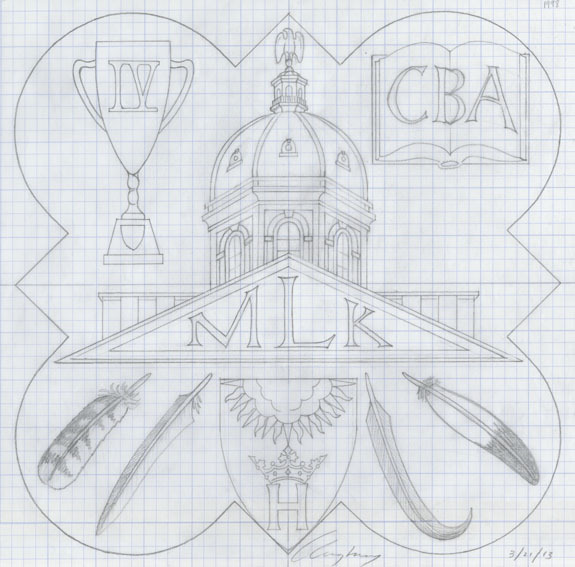 A special fund put at my disposal has enabled me to carry through the embellishment of the choir-room, and I am confidently happy in the thought that generations of young choristers will sing all the more lustily, when they look at the triumphant rooster . . .
And happily, now they can continue to do so. Read the update to this article by clicking HERE.